The ZWILLING 9-piece zip pouch will impress with its quality and attractive appearance. 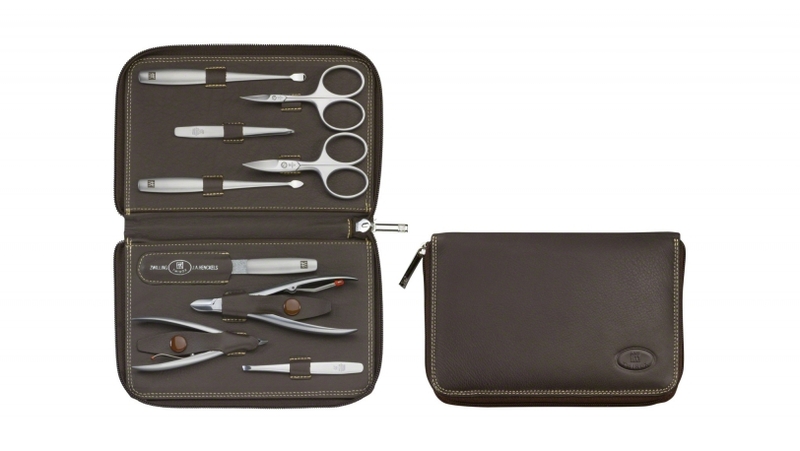 The kit features a variety of stainless steel tools for skin and nail care, including fine nail scissors, for example, with which you can cut your fingernails effortlessly and neatly. There are also tough nail clippers for the harder nails on toes. Whatever the job, you will have the right tool at hand. 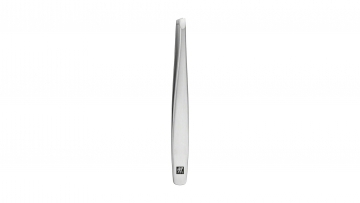 You also get lots of other tools, such as a sapphire nail file, a nail cleaner and cuticle scissors. This zip pouch is made ​​of high quality leather, while the brown colour looks attractive and natural. The materials used are highly resistant, giving them a remarkable durability even when used in rooms with high humidity. Thanks to the case’s compact size, it fits easily into a suitcase when travelling. This zip pouch from the TWINOX® range, turns bathroom grooming into a real pampering session.